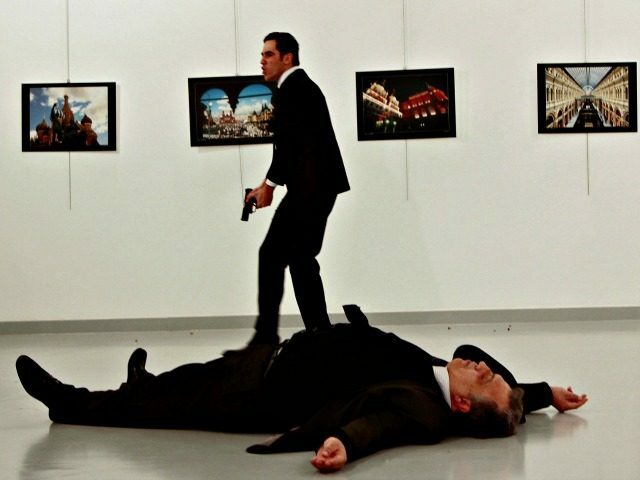 Russia’s ambassador to Turkey, Andrey Karlov, was shot dead in Turkey’s capital city Ankara on Monday around 7:30 pm, as he was giving a speech during the opening of an art exhibition. 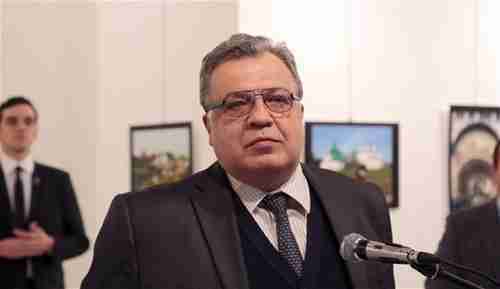 Karlov has been a diplomat for 40 years, and has been ambassador to Turkey since 2013. The killer was Mevlüt Mert Altintas, said to be a 22-year-old off-duty policeman who had joined Turkey’s police force two years ago. Further information about Altintas has not been released, but it is believed that he is not from groups that have conducted terror attacks in Turkey in the last year, such as Kurdistan Workers’ Party (PKK) or the so-called Islamic State (IS or ISIS or ISIL or Daesh). There have been widespread protests in Turkey against Syria’s president Bashar al-Assad for his bloody slaughter of civilians in Aleppo, and it is believed that he is a particularly demented anti-Assad protester who believes that he can attain a political objective by killing an ambassador. In November of last year, Turkey’s F-16s were involved in the shooting down of a Russian warplane that had allegedly crossed the border from Syria into Turkey. Relations between the two leaders, Russia’s president Vladimir Putin and Turkey’s president Recep Tayyip Erdogan, became extremely vitriolic, and they imposed economic sanctions on each other, harming both their economies. The relations began to improve, even to signing an agreement in October to jointly build a natural gas pipeline. However, this was thought to be an agreement out of pragmatism, rather than a real warming of relations, as the two countries are still bitterly divided over the Syrian civil war. Some observers have speculated that Altintas’s political goal in killing the Russian ambassador was to renew the hostility between Putin and Erdogan. However, Putin issued a statement saying that he does not blame Erdogan or Turkey for this terrorist act. 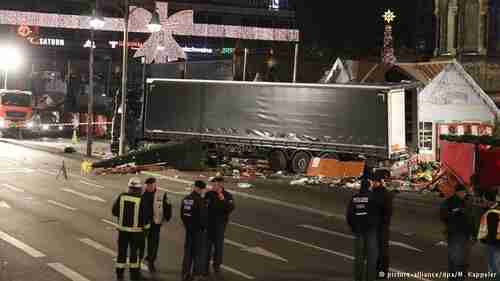 At least 12 people were killed and dozens injured after a large truck rammed into crowds at a market in Berlin, Germany. The driver has been arrested, and a passenger in the truck died in the crash, although he may have been killed. Authorities are reluctant at this time to say whether it was an “accident” or an “attack,” although signs point to it being an attack. The truck had Polish license plates and was carrying steel beams from Poland to a site in Italy. The dead passenger in the truck has been identified as a Polish national. The driver is said to be an asylum seeker from Pakistan or Afghanistan, who had arrived in Germany in February.